More than 125 Air Force wounded, ill and injured service men and women will compete in the Air Force Trials Feb. 23 to March 2, 2018, at Nellis Air Force Base, Nev. The Air Force Trials is an adaptive and resiliency sports event designed to promote the mental and physical well-being of the participants. More than 125 Air Force wounded, ill and injured service men and women have trained and practiced for months in their chosen sports in preparation for the Air Force Trials Feb. 23 to March 2, 2018, at Nellis Air Force Base, Nev. The Air Force Trials is an adaptive and resiliency sports event designed to promote the mental and physical well-being of the participants. The trials’ events include wheelchair basketball, sitting volleyball, swimming, track and field, air pistol and rifle shooting, rowing, archery, cycling and powerlifting. More than 40 wounded warriors from the U.S. Army, Great Britain and Australia will also be among the mix of competitors at Nellis AFB. The Air Force athletes will be vying for a spot on the Air Force team that will compete at the 2018 Department of Defense Warrior Games in June at the U.S. Air Force Academy, Colorado Springs, Colorado. In addition to the sporting events, the athletes will also have access to music and comedy workshops and will be provided massage, chiropractic and physical therapy as well as other holistic healing services. 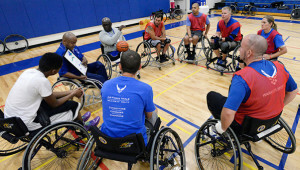 The AFW2 Program hosts six CARE events a year in six different U.S. regions. CARE events provide recovering service members, veterans and their caregivers personalized service through caregiver support training, adaptive sports and resiliency programs, a mentorship workshop and employment readiness skills training. 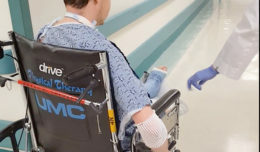 The AFW2 Program is administered by AFPC and includes recovery care coordinators, non-medical care managers and other professionals who work with wounded warriors, their families and caregivers to help guide them through various day-to-day challenges. Visit www.woundedwarrior.af.mil for more information. People can also follow the AFW2 Program on Facebook www.facebook.com/airforcewoundedwarrior and Twitter www.twitter.com/afw2.